Ep 1: Why Empower Outdoors? Join Ali Juten and Phil Stepp while they share their passion for the outdoors, hunting, and fishing. Ali brings a unique female perspective to the outdoor world, while Phil shares his years of knowledge in DIY hunting and fishing. 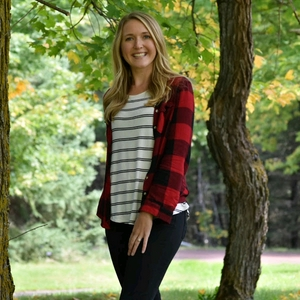 They also interview a variety of outdoor personalities and experts in the field! Ep. 23: Empower Outdoors 1 Year Anniversary! Empower Outdoors co-host, Phil Stepp is back on the show to help recap our fall hunting seasons and celebrate Empower Outdoors' 1 year mark! We talk everything from deer season, our lack of ice fishing time, thoughts about shooting small bucks, our thoughts about shed hunting and upcoming turkey hunts! Lots of laughter included! Ep. 6: Beyond the Harvest - Why hunt? Ali & Phil chat with charter fishing Captain Parker Bambenek of Superior Pursuits. Parker shares the story about why he chose to turn his passion for fishing into a career. He also gives a few tips for catching steelhead, river etiquette, and safe handling of fish. Music used with permission from artist, Steven James and the Revival. Song: Lover of the Silver Moon. 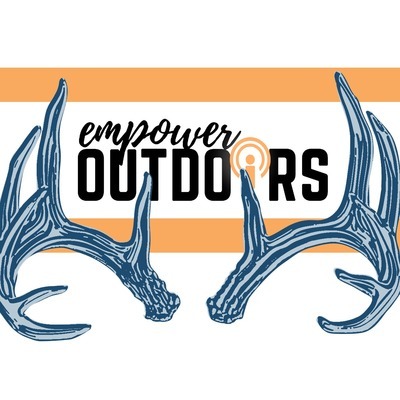 Empower Outdoors Episode 2: Phil shares some of is turkey hunting knowledge in which seasons to hunt and why, how to locate public land and how to gain access to private land. Meet #empoweroutdoors show host Ali Juten and Phil Stepp as they share why their passion for the outdoors turned into a podcast.